Beginning my temporary life in San Diego has been very easy. From 80 degrees, sunny days, to amazing food and gorgeous beaches, San Diego is an easy place to get used to. 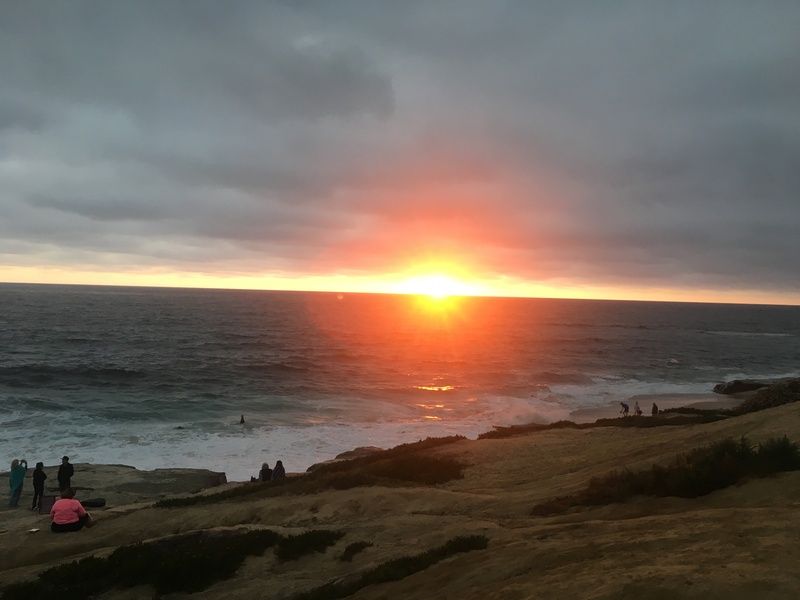 I started my internship at the San Diego Regional Climate Collaborative excited about shadowing Laura Engeman and absorbing everything I experienced. On the first day she had me running! Between planning and organizing our Living Shorelines workshop, going to meetings with the Taxpayers Association, steering committees and working groups, Laura quickly welcomed me to her world. 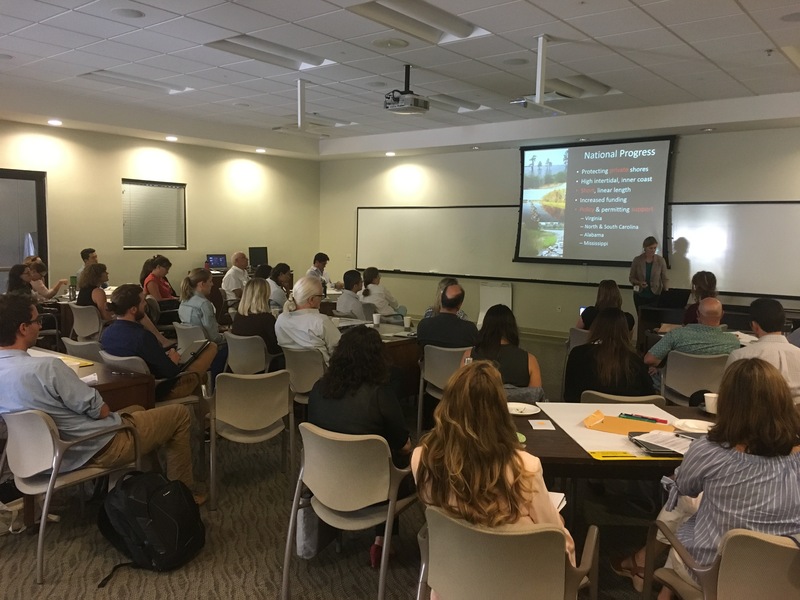 My third week in we held the Living Shorelines and Resilience in Southern California workshop. 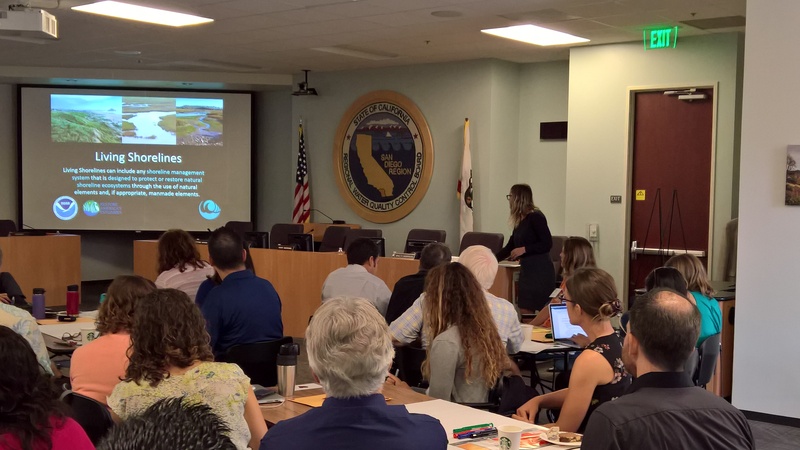 With 60 Southern California professionals in attendance, the workshop aimed to advance the local dialogue around using living shorelines to increase community resilience to coastal hazards. 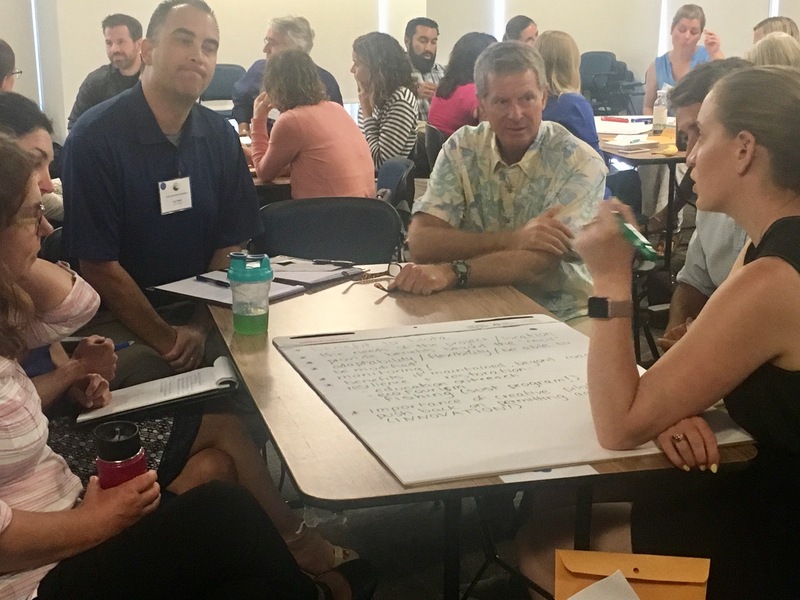 Workshop attendees brought a variety of experience into the room, with backgrounds in natural resource management, engineering, land use planning, biology, and climate and ocean science. 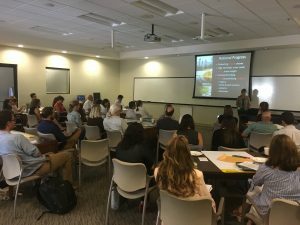 It was fascinating to listen around the room, understanding everyone’s different perspective on the coastal issues in their cities and how living shorelines can apply to many cities’ requirements in Southern California. The blue group (that’s me!) discussing how to bring community resilience into Living Shoreline projects. 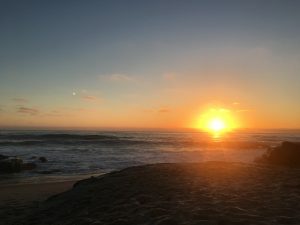 The workshop was an amazing success and it was an awesome feeling to see my efforts come to fruition, but as soon as the San Diego workshop was over, we started planning for the Los Angeles/Orange County workshop which will take place on August 10th (so look forward to hearing about that!). In the meantime, I have been going to networking events, city council meetings, and information interviews; Laura has been amazing in pushing me to meet everyone possible while down here for the summer. Already I am beginning to understand the difficulties and opportunities of working within a collaborative. 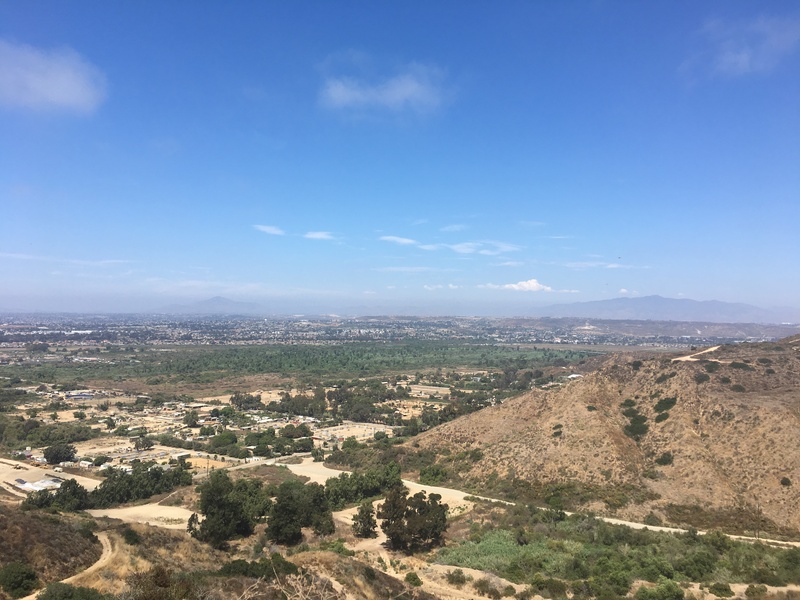 Obviously opinions differ at times, but when everyone sits down and is able to work through what each entity needs and how those needs are similar or intertwine in some way is an amazing accomplishment to experience.